Simply put, I love Chucks. I love that they have been fashionable for nearly a century (since 1917), I love that you can wear them with a variety of outfits and I love that their design has remained consistent from the beginning. I found these lovely watermelon inspired Converse sitting on the shelf at my favorite thrift shop in Lincoln Park, near Downtown LA. If you know me you know I love to find a good deal which is why you'll find me at Saint Vincent De Paul more often than Tom Ford (not to worry, I still love luxury.) These shoes were not only clean and cool they were actually my perfect size....which is pretty damn rare when you're a size 11.5, especially in a thrift shop! My fellow thrifters will understand how special it is to discover that the shoe fits. I felt pretty lucky with this find. 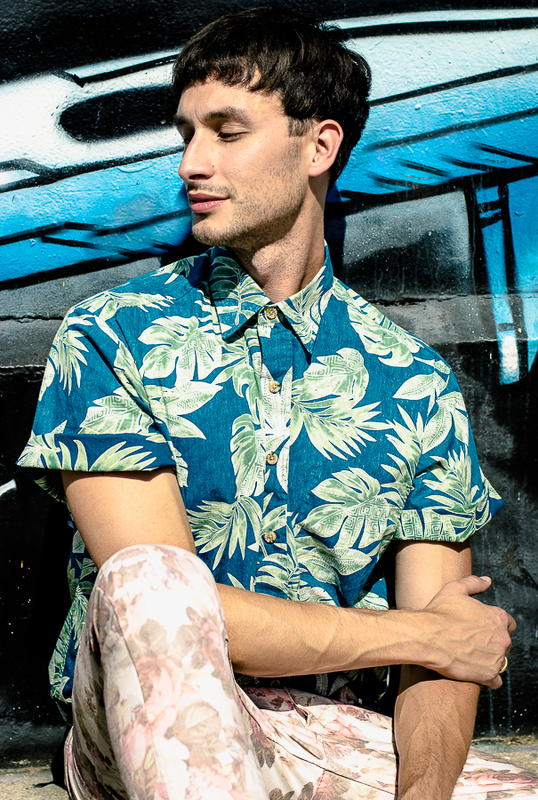 For this full look I decided to bust out the floral pants from Joyrich but this time with a new Aloha shirt for a tropical meets urban look.